My family lived in Dublin from 2001 to 2005. People often ask me to share stories the stories I wrote from that time period. 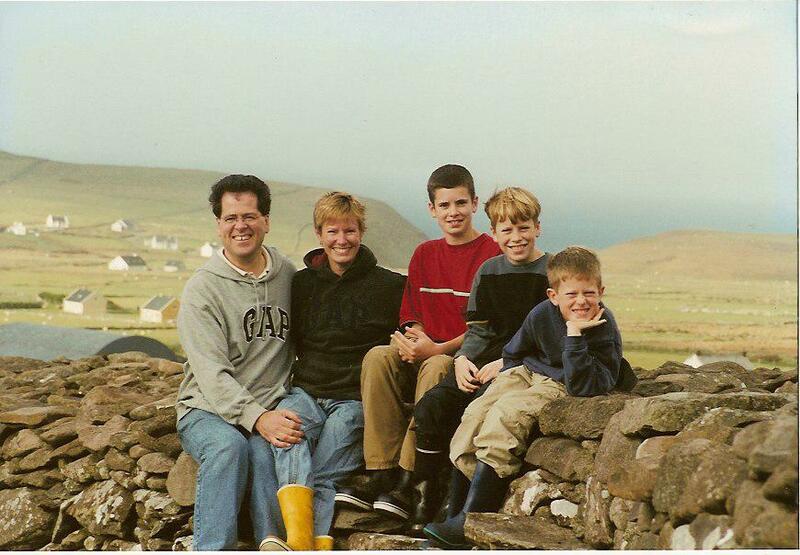 I recently remembered this story about our somewhat traumatic trip to the Dingle Peninsula. Successful vacations make dull stories. Dingle Peninsula is the furthest western part of Ireland, south of Galway, in County Kerry. 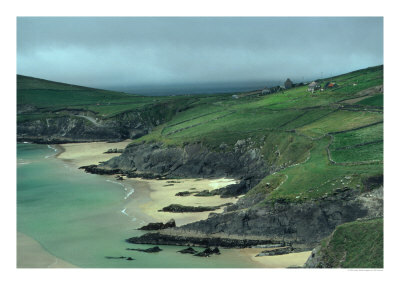 It has been described by National Geographic as one of the “top ten scenic destinations of the world.” The writer of that effusively positive article said Dingle Peninsula was her personal favorite. Everywhere we go in Ireland, the last place we see is our favorite, but Dingle Peninsula just may permanently hold that position. The writer did not exaggerate. This affection for Dingle, though, is remarkable given some of the travails of this holiday. To begin, the fair peninsula is an arduous 6-hour drive from Dublin. We set off an hour later than planned since we’d had a late night out to the theatre— and having stretched everyone’s bedtimes to see a terribly tedious British play made the grim early departure that much worse. Such an unforeseen delay sets Des’s internal stress monitor at full tilt even before locking up our Dublin front door. Leaving Dublin in full sunshine to encounter torrents of rain as we approached Dingle did not help the driving matters much. We had decided a couple of steamy hours into the journey to stop for a “safe” lunch in Limerick. It wasn’t the Stab City reputation of the locale that worried us, it was just the food. Some days we just aren’t up for the challenges of an unknown pub’s carvery lunch. About every second hostelry on this island has edible fare—some of it is quite delicious–but we have an unerring talent for selecting the also-rans. After visiting a new town, some friend will belatedly tell us “Did you eat at the Spotted Cow—it’s brilliant.” Inevitably we will have chosen the pub right next door to the Spotted Cow. Think of Thanksgiving dinner’s endless vegetables and side dishes kept mushy and sweating in stainless steel food service receptacles, replace the turkey with a dripping or possibly dry hunk of beef and you get the picture. Or, perhaps order a ham and cheese sandwich and get exactly one naked slice of ham, and one bright orange square of cheddar, carelessly tossed between two slabs of virgin white bread (one national bakery refers to their slices as doorsteps) and even the most aesthete of diners starts to miss the pickle. Approaching Limerick, with all the rain, squabbling, and rigor mortis of the journey, some good old fashioned comfort food was in order. Something safe and reliable, something authentic and true to its culinary origins…like a pizza from a UK chain restaurant. Once in town, we made a beeline over to a taxi rank to ask three loitering cabbies where to find Pizza Express. (We had one of their business cards from a trip to London and had noticed Limerick on the list of locations.) The stereotypically ruddy faced, tweed coated and capped hackers had an extended triangular chat including numerous confirmations of the restaurant name: “Now what was that place called again?” We politely waited through comments like “There are so many of them pizza places nowadays”, a lengthy call in to the dispatcher and finally, confident agreement on the location of the restaurant. Eagerly anticipating ordering a couple of those luscious piping hot pies Jughead savored in Archie comic books, we sailed lightly away from the cabbies with cheerful calls of “Good by! Good by!” and “Thanks a million.” Following the sage locals’ directions perfectly (“what a nice bunch of guys, so lucky we ran into them”), we found ourselves on a worn and tatty side lane in Limerick, facing a narrow chain link fence-covered façade with a peeling red and green “Pizza Pronto” painted over the bolted front door. Funnily enough, we had earlier passed this forlorn place on our way through Limerick and I had breathed a silent sigh of relief that we wouldn’t have to hazard lunch in such a sad looking place. That, for once, we had a firm lunch destination predetermined. After a brief, fruitless car tour of the surprisingly vibrant center of Limerick, we bolted out of town for the village of Adare, because Des’ mother had told us, “Now that’s a pretty town.” Unconventional to rely on 30-year-old travel advice but it proved true. Lunch at the thatched roof Blue Door restaurant was declared a general success, made even more so by the rarity of a non-smoking establishment. 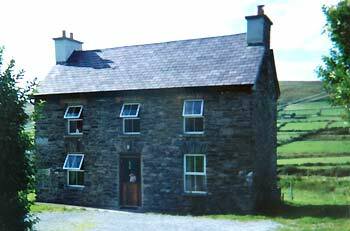 With a booking made months earlier, we were long anticipating our arrival at Dingle’s Conor Pass Cottage. Built in 1848, of two stories of sturdy weathered stone, and set alone on one of the most scenic roads in Ireland, we expected a true getaway from the hustle and bustle of the city. Stopping in Dingle town to collect the keys from the owner, a warm and welcoming Veronica heartily greeted us. Her bed and breakfast was empty of customers and she invited us in for a cup of tea to revive the family after “that fierce long drive from Dublin.” The dining room was ill prepared for company, the kitchen looked to be halfway through a major renovation what with the dishwasher in the middle of the room and the generally askew ambiance, and we were anxious to get to our holiday house, so we declined the kind invitation. All happy smiles (on my face) disappeared after a few minutes inside the sorry house. Although someone had done a hasty clean up–fresh sheets on the beds, the rugs swept, the pillows fluffed, little else had been done to clean the hovel. A stomach-turning level of dirt and grime covering every vertical and horizontal surface. Nothing so obvious that the boys weren’t scurrying around the place in delight, carrying bags and balls and Wellingtons into every corner. I circled slowly around, increasingly anxious not to touch anything or unpack our loads of groceries. 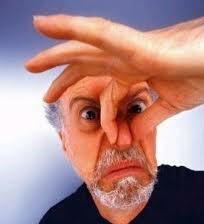 Des volleyed over with a story about how Irish cleaning standards are different. 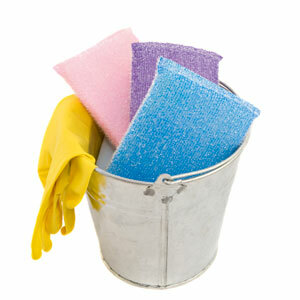 How he had personally bought special cleaning supplies for washing his company’s kitchen floor and countertops. How he had had the commercial cleaning staff come in for a one-man demonstration of what he expected from them. And how the office, despite increasing the janitorial crew’s contracted hours, still looks the same as always. This, coming from a man who has such selective vision on our own household grime, floored me. Des asked me to “go with the flow.” And I did. For one night. First, though, Des called the owner and reported the cleaning situation and Veronica said she’d remedy things while we went out to dinner. Several dozen Euros poorer, after a visit to an over-priced and overrated famous seafood restaurant (but we stayed consistent in picking the “every other” eatery), we came back to find things looking much the same and fell resignedly into bed, hoping things would look better in the morning. Unfortunately, that was the night that the dreaded Winter Vomiting Bug landed on Carl. This flu has been the stuff of continuous Irish news coverage (hospitals being closed to visitors, all elective surgeries postponed). The media attention was so extensive that this Bug started to take on a truly threatening aura; it seemed positively exotic compared to contracting a garden-variety flu in the US. I asked a doctor friend to explain. She replied that it is “just the flu but it gave people something to talk about to distract the population from bigger scandals.” So, I thought we’d dodged that relatively benign bullet until Carl’s horrible night. In the full light of day, we were faced with the true predicament of our dream holiday. Dead tired and pale faced, the house looked worse than ever. Still, Des soldiered along mightily until he saw that the “white” linen lace edged dresser scarves were covered with layers–true layers–of other people’s make-up, grease, and other smudges that didn’t bear thinking about. Des threw the tatty rectangles in a forlorn heap. He then grabbed a spray bottle of Domestos cleaning fluid (one he bought for the purpose since there was—quelle surprise—nothing of the kind on the premises) and scrubbed a little square of the wooden kitchen wall. It went from light grey to white in seconds. That was it–we were united once again. However, we also had a child who was still upchucking at 30 minute intervals, two restless older kids who just wanted to get on with things, a completely unpacked car, a full refrigerator, and it was Sunday in an unfamiliar Irish town where even the Tourist office was closed. Nice to know that Dingle respects the seemingly nationwide policy of looking after the tourism employees. They are protected from taxing themselves on potentially high-demand Sundays to assure they are in full form to serve the legendary tide of Monday morning visitors. In short, we knew nothing of our options. In the meantime, Carl fell into a deep sleep and we knew he was on the mend. We entrusted him to the care of Dane for an hour while Des and I played “Joseph and Mary do Dingle town.” We tried the Dingle Internet Café in an attempt to book something through the excellent Irish Self-Catering guide (the route we usually use, but hadn’t for this booking). The Internet Café–most westerly one in Europe, says the window advertisement–would not open until after noon. We dialed phone numbers off the sides of promising looking holiday cottages. We followed tips and hunches. After stopping into two hotels rumored to own holiday cottages, we scored a place on the edge of town. I never gave my Visa number over so quickly or happily as I did in that moment, to the slightly stunned hotel desk clerk. Des didn’t even ask the price (less than the Dump anyway) and I wanted to kiss Monica, the cottage manager. We usually insist on history, charm, and a country location. At this moment, all I wanted was a floor we could walk on in our socks. Gleeful, we scurried back to the Dump to plan our next move. Neither of us wanted to do battle with Veronica but Des drew the short end of the stick. He felt guilty after having made the original booking –for which I never blamed him; little website pictures don’t generally focus on countertop cleanliness. I just couldn’t imagine going toe to toe with ANY other woman over her despicable housekeeping habits. That is below the female belt. So, in between rubbing Carl’s head and feeding him sips of Coke, I hastily stuffed everything back into bags and lined them up by the gaping open door, never mind the steady wind sweeping across the valley, ready to bolt as soon as Des returned. I would, though, have liked to be a fly on Des’ shoulder as he gamely took on Veronica Houlihan. Clutching a filthy dresser scarf in each hand, Des showed up at the B and B demanding a refund and threatening to complain to all the tourist boards she had so helpfully advertised with stickers on her front door. Des, in a low blow that I could not fathom delivering myself, bent down and swept a finger across Veronica’s own grime covered moldings. “I do. And just look at these skirting boards!” After much to-ing and fro-ing, Des agreed to look at two alternate Houlihan properties, knowing full well that this was just part of the negotiation dance and that he would no more take these alternates than he would come home and face me with the notion of further association with Veronica. The end result was that Des secured return of half of our money and we tripped delightedly into our future abode. We had rented the last available, end unit of the 14 cutesy and new Dingle Marina Cottages. Seven of them facing seven others, all attached, with a parking lot in the middle, next to a busy road and squeezed between the fragrant fish processing factory and the humming Electricity Supply Board power plant. The marina view was entirely blocked by a grim row of formerly-public-housing cottages painted in various faded pastel colors. But one look at the clean upholstery and pure white fiberglass shower and I didn’t care one mote more about my pathetic suburban sell-out and the pseudo-New England decor. It was pristine and you could eat off of those synthetic wood floors. Better, I could imagine safely vomiting in the sparkling bathrooms, as I knew we were marked men anyway, with the flu in our family. Not that we would be happy about moaning on the floor, just that we had the luxury of being there without contracting something worse. 2011 PostScript. We rented a cottage in Michigan just this month. It was just as filthy as the Dingle horror. Slovenly owners know no nationality. They are global citizens. Housing secured, we did fully mine the riches of Dingle Peninsula. Here is a brief commercial for its wonders. 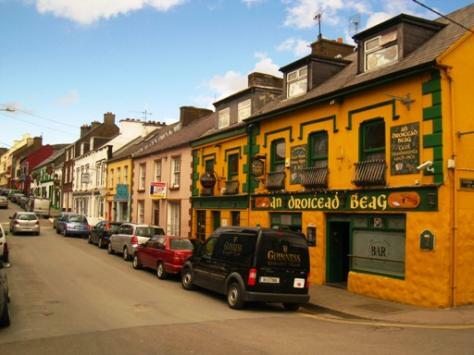 Dingle is in the heart of the Gaeltacht–the Irish speaking parts of the island. Having nearby diners conversing in Irish was a huge redeeming feature of the expensive seafood dinner–a sheer delight after struggling with the language over Carl’s homework. They probably felt like zoo animals for the way I kept glancing over and eavesdropping. The landscape is full of history and that’s saying a lot for historically-rich Ireland. Prehistoric, Bronze Age, medieval, and Early Christian relics are there to trip over at every turn–beehive huts, Celtic crosses, sacred wells, monastic ruins, and castles. The sea, field, and mountain scenery is National Geographic spectacular–everywhere. In the US we’d go miles out of our way to drive a little stretch of specially marked “scenic route” on a map. No such need in Dingle–every road would qualify. We hiked on five different days and each jaunt was more spectacular than the last. One hike felt like being in Wyoming, with the russet and golden tones of the peat bogs at the foot of Ireland’s second highest mountain looking a lot like prairie grass. More typical were rolling green fields, mountains, stone walls, and crashing white foam on blue seas nearby. Take a look at the 1969 “Ryan’s Daughter” movie or the first 15 minutes of the more recent Tom Cruise/Nicole Kidman “Far and Away” to see some of this countryside. If you choose to watch more than the first 15 minutes, don’t blame it on me. So you want to live overseas…. When we got in town I asked a few people where to trick or treat and heard conflicting answers: “Oh kids just go to their neighbors.” “Kids go to the pubs and some private homes.” At the moment of leaving, all dressed up for the big night, we still didn’t know where to go, but we had done some reconnaissance on newish looking Dingle neighborhoods. (The older streets looked too dark and unwelcoming, with their houses hard up against the sidewalk, thick curtains, and lack of porch and streetlights). First, though, we wanted to try the pub option since we heard that answer more consistently. Located, as we were, near the harbor and the center of town, there was no shortage of pubs within a stone’s throw of our cottage. And here is where the reality of being an expat family all came crashing loudly back onto us, promising the oh-too-familiar thrill and the discomfort of being foreign. At the first pub door, hard on the harbor, facing the lineup of fishing boats we all cowered outside, in the dark and damp gloom. We were whispering “You go in. No you go in.” Pubs are entirely fine places for kids before nightfall but you’d really like a local’s advice if you want to go to a pub at night. 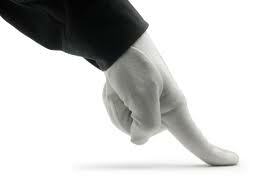 All the daytime tolerance and welcome slips away with diminution of daylight. We didn’t know how this attitude would change on Halloween. We also knew that our boys would be considered too old to be escorted for trick or treating (this is Ireland–no one expects a kidnapping) so we were already pushing things by just being there. Taking them by the hand into a pub would make them laughingstocks. So we huddled tensely by the door, Des and I knowing we couldn’t go in–(and kind of glad for it, probably. None of the boys wanted to make the first move. We moved on, hoping the next pub would look more inviting, more lit up, and we really went out on a flight of fancy in hoping to see some encouraging decorations in the windows. No luck. No attempt at entry there or the next or the next, and pretty soon we had passed by 10 pubs and walked several dark and largely empty streets and none of us had the guts to go in anywhere. We did follow some trick or treaters into a brightly-lit take out joint but soon realized the little goblins were just there to order chips. We backed out onto the sidewalk in true Three Stooges stumbling style. 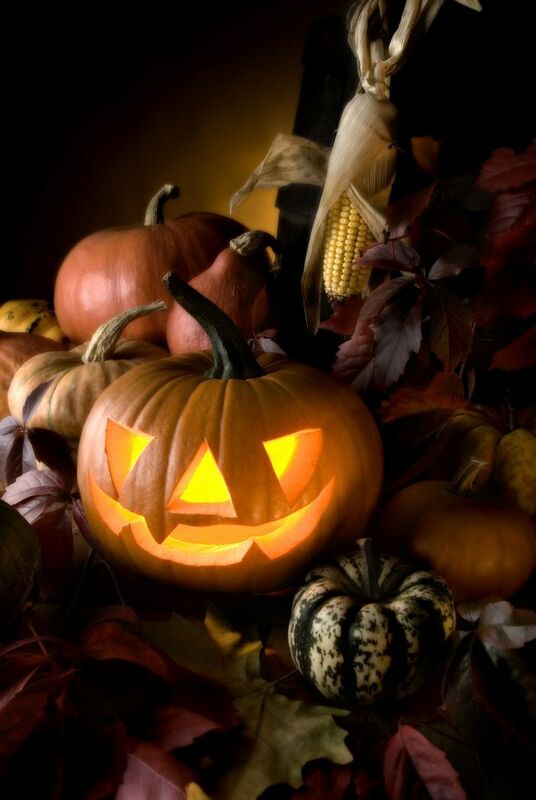 Had it not been Halloween with full-blown child expectations and anticipation we would have said “Forget it. Why are we going through all this?” Even the boys’ spirits were flagging. Des and I would have gladly bought a jumbo bag of candy bars for each one of them to save all the agony. And this is exactly when it hits. We are in Ireland. Nothing is easy. We can’t just go to the glowing line-up of pumpkin decorated houses full of people who know us and will ooh and aah over the boys’ costumes and invite us back later for a beer. We are lost at sea, but the boys are depending on us and we have no choice but to soldier on because the alternative–to tell the boys that there will be no Halloween because we are in Dingle, is not even a choice. We pushed on to the main street–or the one we thought would be “better” because it features the post office (the traditional center of village life) and Foxy John’s-a small one room pub that has a bar on the left wall, a hardware store on the other, and bike rentals in the back. We stopped a battle weary mother and father leaving that vicinity with two tired little ghosts and they motioned vaguely over their shoulders that “there were pubs back there giving out sweets”. The main street was indeed more festive (if you count the couple of wan streetlights) and we spotted two girls–a chubby French maid and her purple Mylar haired Hippie sister coming out of a pub looking delighted. They confirmed “a score” and, being up from Dublin themselves, were sympathetic to our plight. Overcoming their reticence, the boys followed those girls in and out of enough pubs to get their own sea legs until finally Carl was just barging in any pub or restaurant that looked half alive, marching up to the bar man and yelling “Trick or Treat.” The white robes of his costume would routinely get caught in the swinging doors, and he would just yank them out and move on to the next possible score. Des and I walked around a bit agog at the idea that we were actually taking our little charges to any pub, no matter how dicey the locale and the locals, for the promise of a couple candy bars. The boys would sometimes disappear for several minutes until the busy bartender noticed them. Peeking in the windows, I noted how the regular-looking customers just gave the boys barely detectable sidewise glances (Irish people can completely assess a newcomer without moving a muscle) and otherwise left them to their own devices. So at one pub, I was particularly heartened to hear two women seated near the door say, “You just wait here dears. The man behind the bar will be right back. He just went in the back room for something. He’ll be sure and give you something.” I listened approvingly (“now there’s a little empathy for you”) until I recognized the accents. No wonder they were loud enough to hear from the sidewalk, being over on vacation from New Jersey, as they were. Was it the best haul the boys ever saw? No, far too many pennies, peanuts (called “monkey nuts’), unwrapped candies and apples to qualify in that regard. The ‘70’s American razorblade in the apple urban legend is not a factor in County Kerry. Our Irish friends who had the misfortune to move into their first American house, unprepared, on Halloween day hadn’t heard about it either. They had no idea that as they scoured the cupboards for treats to hand out, that their precious handmade chocolates reluctantly stripped from the beautiful gift box carried carefully from Dublin would be promptly trashed, as well as elicit a horrified reaction from all their new neighbors. In Dingle town, one householder (we tried a few homes in between pubs) even looked warily at the boys and sharply interrogated, “You haven’t been here before, have you?”, as she relieved the family fruit bowl of a few grapes and an orange. But if the value of stories can outlast chocolates, those boys got a treasure that night. Like all expats, we will return home with suitcases full of stories and every one of them will be rightly earned. 2011 PostScript. This life, in a place where someone offers a few grapes to Trick or Treaters, seems very distant as I stock up a basket full of Whoppers and Milk Duds for next Monday. But so does that gorgeous ring fort in the photo, and the many joys of forming a life in Dublin. I wouldn’t trade one minute of it. It’s not your imagination…those fake ghosts are multiplying like rabbits.